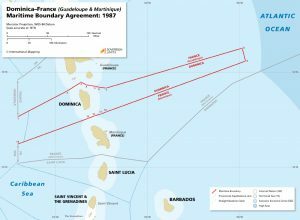 The maritime boundary between the French Islands of Martinique and Guadeloupe and the Island State of Dominica was established through a bilateral agreement that was reached in 1987. 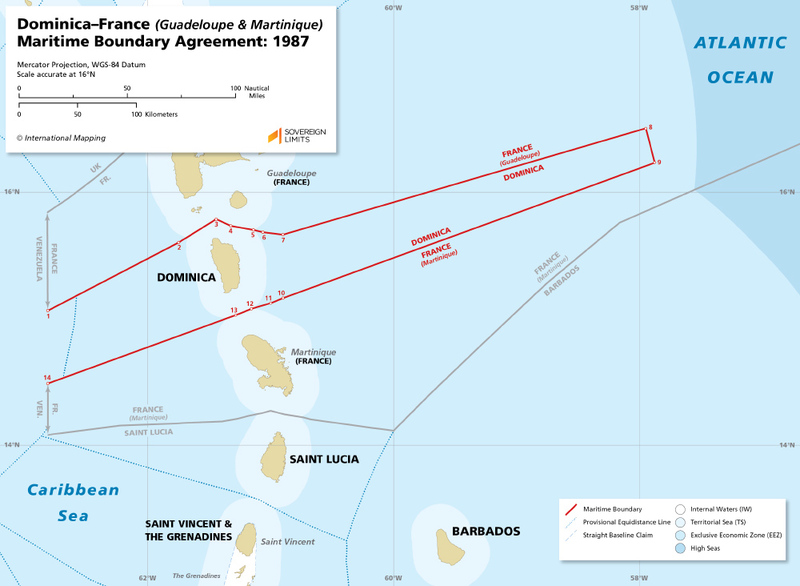 The boundary, which forms an elongated semi-enclave around Dominica, follows dividing lines between the opposing coasts of the islands (points 2–7 in the north and 10–13 in the south) that are based on the equidistance methodology. In a move to compensate Dominica for a coastal setting that was generally concave in the east, equidistance was abandoned in favor of a corridor that was extended out to Dominica’s 200 M limit.